The Colorado Department of Agriculture and the U.S. Department of Agriculture’s Natural Resources Conservation Service are seeking applicants for on-farm agricultural hydropower projects. The total amount of available assistance for this round is $1,200,000. The funding is available to Colorado agricultural irrigators with appropriate hydropower resources. The funding is part of the NRCS Regional Conservation Partnership Program. 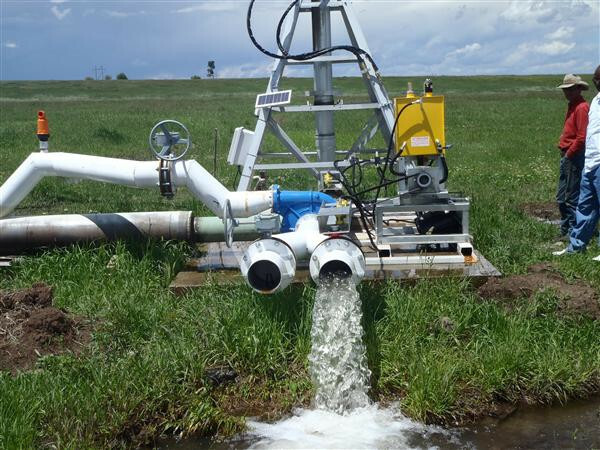 Within RCPP, the Colorado irrigation hydropower program provides funding to agricultural producers to help them add hydropower to new or existing irrigation systems. “The program addresses water quantity, water quality and energy resource concerns,” said Sam Anderson, CDA’s energy specialist, “by helping farmers upgrade outdated and labor-intensive flood-irrigation systems to more efficient pressurized-irrigation systems using hydropower, or retrofit existing sprinkler systems with a hydropower component. “Half a dozen projects have already been completed across Colorado, and this year we hope to fund more than a dozen new installations,” he said. CDA is currently accepting applications for the next round of RCPP irrigation hydro projects. Applicants must be eligible to receive funding from the NRCS EQIP program. For more information and to submit an application, visit the Colorado Department of Agriculture’s ACRE3 hydropower website: http://www.colorado.gov/agconservation/hydro-navigation-guide or contact Sam Anderson at (303) 869-9044 or http://CDA_hydro@state.co.us. The application deadline is June 23, 2017.